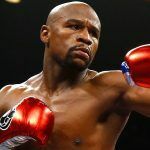 Floyd Mayweather might be retired from boxing but UFC President Dana White said Wednesday the undefeated pugilist is interested in fighting in Mixed Martial Arts. The 40-year-old athlete quickly shot down White’s claim, but his denial didn’t sound like he was totally adverse to the idea. 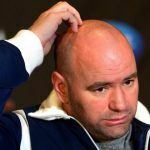 It began Wednesday when the head of the UFC was talking to ESPN and said that he was talking to Mayweather about putting together a deal for a fight in the Octagon. White pointed out that people didn’t think he was serious about the boxing match between him and UFC Fighter Conor McGregor. “It’s real,.” White said. “He was talking about [boxing] Conor McGregor. Was that real? Have you heard Floyd talk about many things that aren’t real? He usually tips his hand when he’s in the media and then that ends up happening. We’re interested in doing something with Floyd. Everything is a realistic possibility. Mayweather vs. McGregor happened. Anything is possible. Bovada had listed odds on the possibility of a match earlier in the week as yes at plus-500 and no the favorite at minus-900. Shortly after the news broke, however, the online gambling site had pulled the offering. Alan S. from Bovada customer service said early Thursday that the line had been taken down and didn’t know when or if it would be back up. “The availability of our betting lines depends on the information we gathered for a particular event and are subject our Book Manager’s discretion. Just check the website from time to time to see if it’ll be offered,” he wrote in a chat help window. 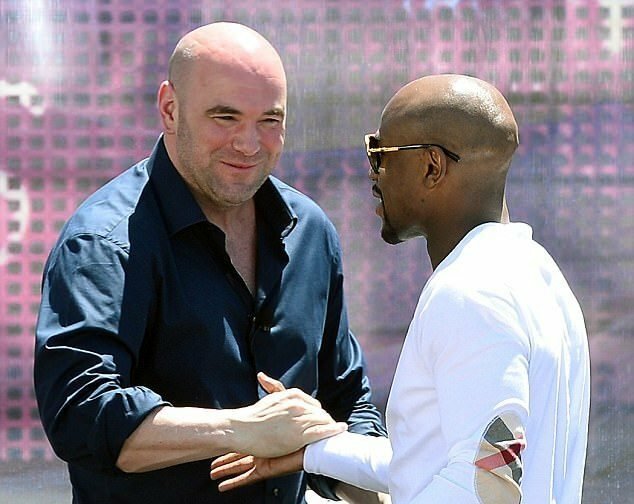 It didn’t take the long for the champ to refute what White said, though he didn’t deny that any discussions were taking place. In an interview with Fighthype.com he tried to clarify an early interview he had where he said he could make at least $1 billion if he made the crossover. He did finish the interview by saying he wasn’t going to do it. 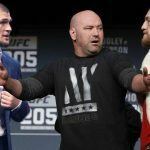 McGregor, who came from the UFC to fight in the ring against Mayweather on Aug. 26 in Las Vegas had a one word retort on Mayweather’s reluctance to get into a UFC fight.